This is where I have had a LARGE problem. The problem of knowing. I have often thought that knowing anything on planet earth was near impossible. The reason behind the thought is simply this. Everything we think we know has come from humans telling other humans what they think is truth and knowledge. Well, where did the first human get his/her knowledge? Who is to say that it was in fact truth? Now throw in the physics and channelers. Who is to say for sure that the info they get is in fact the truth? I don’t think we can get to real truth here on earth. I think some of us might say “truth and knowledge comes through the heart” or “Knowing god/source is the path to knowledge” but who knows what or who god really is? Many say they know God. Well, I have to ask, which god are you refering to? So, it is my opinion that really knowing anything for sure is just wishful thinking and nothing more. I guess the question is HOW do you know what you know is factual truth? (and who told you it was?) Would love to hear the answer please! The truth is that we really KNOW nothing Beard, that's the truth. We exist at this level in a 3-D world, so how can we see beyond our boundaries? Use the 2-D / 3-D picture - a 2-D person can only see on a flat plane, and any 3-D object will only be visible if it crosses the plane. If the 3-D object is either above or below the 2-D plane, it won't be visible. Or the other way of seeing this - you have a radio or TV - all the stations/channels exist and broadcast at the same time, yet you 'tune' in (hopefully) just one (else all you get is garbage that you can't understand). Now, what is even more - these radio waves co-exist with visible light, so even there, with our technology, we can only 'sense' a very small amount of all the information, so now you can see why there is SO MUCH out there, and compared to what we can 'sense/know', yes, we know and see nothing at this level. The main thing is to know that there is a lot more, but not to worry - as the higher dimensions continue to unfold, we will find we are seeing more, and a lot will come to us as memories from when we existed in those realms. That answer my friend comes from you. Not me, or anyone else. It's from your path. No two paths are alike. My answers are not from someone else. They're personally from me. One form is negative and the other positive. Either you are happy and fulfilled in life (your personal life) or you're not beard. That's is simple as I can explain it. Just enjoy the trip along the way and I wish you all the happiness, peace, love and answers. I'm going to know let this topic lay to rest so this post can get back to what it was tended to be... 2013-14-15-16 and beyond. Tx Reddwolf hmm, there was a second one a part 2, that was like watching all the posts on California, mini tsunamis here and in Oregon, been removed, wonder what was on that one, they didn't want seen? spent fuel cells from european but mainly german reactors where/are shipped to Naples Italy where the mafia then transported the flimsy barrels of nuclear death off the coast of somalia and dumped them in the sea. Wow, T, hadn't heard of this one before. 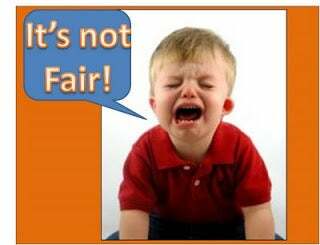 Humans treat other humans (and animals) horribly without any thought of their actions' consequences. Sickening. Haven't listened to this yet. Pole Shift News Are you aware of what you are seeing ? EDIT TO ADD - will leave it here but found it a little slow and boring for my liking and it does not have any new info that we don't already know. I have mentioned this QHHT session and the view of Earth after Earth Changes before but don't think I have posted the details of the conversation during the session. I hope laron won't mind this excerpt of the session being posted here at Chani. Jīng: “Yes. (How far does the cold area of Europe go down?) I would say the Swiss Alps would be the lowest line (an approximation)." Jīng said this after reviewing the article: "The 38th parallel North and South are the approximate lines for the Ice Age weather." I just chose not to be part of the above timeline... what are the other options? T and hiraa - I agree with both comments. Whilst I do like the QHHT sessions and take on board as general info what comes through, I posted it here for information only. Yes, I think there will be changes to the Earth at some point (or should I say ongoing) and this s not the first time I have read something where they talk about a future 'ice age', which this session seemed to depict and describe. There was no time frame either and such changes, if indeed they were to occur at all, could be a hundred or thousand years in the future. I just had a feeling to post it so followed that, it could be to make just one person reading it think about whether they are in the right place now or not, or it could be for some other growth reason, I don't know. @T, I beg your pardon? LOL I do too know my geography, but recently became aware that some don't even know that Mt. Rushmore is in the states, let alone S. Dakota! A purported ice age should ring your bells also, LOL. Scientists are trying to identify the cause of methane gas bubbling in the Condamine River. "Landholders in Queensland are calling on the State Government to find the cause of methane gas bubbling in a major river, which they say has intensified in recent months. Professor Damian Barrett, the CSIRO's lead researcher into unconventional gas, has been monitoring the Condamine gas seeps. 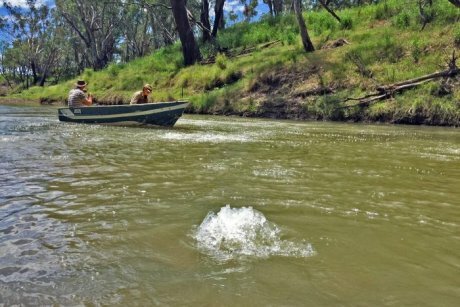 The ABC visited the most prominent methane seep in the river about six kilometres west of the Chinchilla weir, observing large, concentrated bubbles rising to the water's surface. "From what I've visually seen since the first videos back when they were originally found, they were just minor bubbles in particular locations," Helen Bender, whose family owns two properties near the Condamine, said. "In terms of the number of bubbles along the river, both upstream and downstream, [it] is increasing." Even I like QHHT sessions (undergone one myself), what I meant in post above is that any future scenario is a possibility and a choice . As the energies are growing (I am sure you're feeling it)... we will shift as per our vibratory state..
being anchored, during the transition stage might not be a good idea - best to go with the flow, than to be overwhelmed or concerned about where you will end up - resistance is futile ... trust that Nature will sustain you and cut all your ties to the money/power grid, before it collapses, so that it doesn't drag you down with it.. When an electron in an atom absorbs electromagnetic radiation it jumps to a higher orbit (energy level). The electron cannot be measured to be in-between energy levels - it must be found in one of the energy levels (n = 1,2,3 ...) or else it must have left the atom altogether in the process of ionisation. So are they actually viewing Nibru are not? Where I'm at, still haven't seen her. Wondering if you have in your part of the world? Plus the bubbling sand was quite interesting. Everything is accelerating so fast it's all blending; very interesting months ahead. Enjoy your weekend everyone, thanks again for the messages, prayers and love for my family and Dad. PS: you have a glorious weekend also 12:12, and I hope for an inner peace for you and your loved ones..
Major Carbon Monoxide Explosion West Coast !!! Thank you so very much breezy, I'm going to look over everything now. Weekend has been very good. How about yours? The weather was spectacular; maybe my Father brought some warmth from the otherside, just three days ago we had a foot of snow and wind chills below zero, today near 70 degrees and sunny. My Mother is still having a very rough time; but with family helping she is finding inner peace. Hugs to you and everyone; enjoy your new week!